The first game of the day comes from the Alpensia Ski Jumping Stadium home of Gangwon. Last weekend it was a case of nice stadium, awful pitch fingers crossed things have changed. Gangwon have 1 win and 1 defeat to their 2017 record, exactly the same as Pohang Steelers. In fact Pohang sit just above Gangwon only on goal difference. Last Time: Pohang won 4-0 back in July 2013. Gangwon were a little unlucky to lose last weekend, so we’re siding with them to comeback from that defeat. 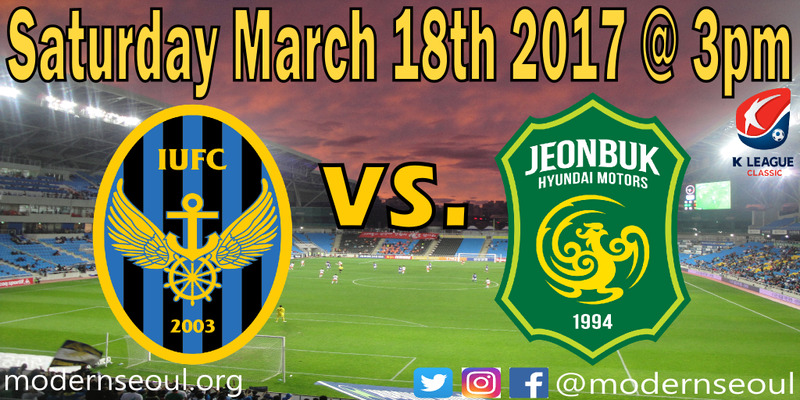 Our highlight game of the day comes from the Incheon Football Stadium (Sungui Arena Park). Incheon United haven’t looked great in their opening two games of the season, but they did comeback from 2 goals down last weekend against Daegu. 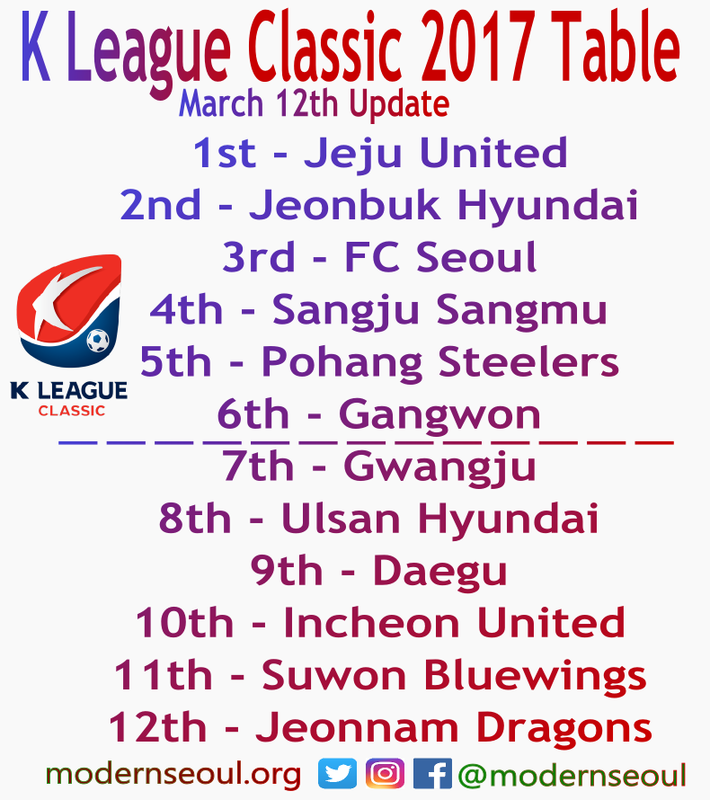 Jeonbuk Hyundai have had a perfect start to the 2017 season beating Jeonnam and Suwon Bluewings. Last Time: Jeonbuk beat Incheon 3-1 back in August, however over the years the head-to-head record is pretty even. We might like to but we can’t side with Incheon at the moment, and therefore we see Jeonbuk easing to the 3 points. Both of Saturdays classic games ended in draws. Incheon held Jeonbuk, but could have won it but for a missed penalty. Gangwon comeback from behind twice to beat Pohang Steelers. Saturday afternoon also features a couple of games in the K League Challenge. 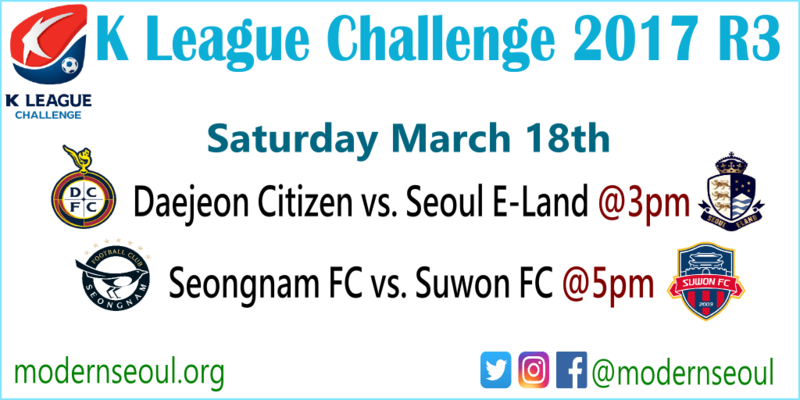 Firstly Daejeon Citizen host Seoul E-Land, then later in the afternoon Seongnam FC host Suwon FC in a repeat of last seasons Classic game. The first game in the Challenge this Saturday afternoon comes from the Daejeon World Cup Stadium, and is between Daejeon Citizen and Seoul E-Land. Daejeon have had a poor start losing the 1st week and drawing last weekend to Seongnam. Seoul E-Land have fared worse losing both their opening games. Both sides will be looking to kick-start their seasons. Daejeon will start the game slight favorites but it is will be close. 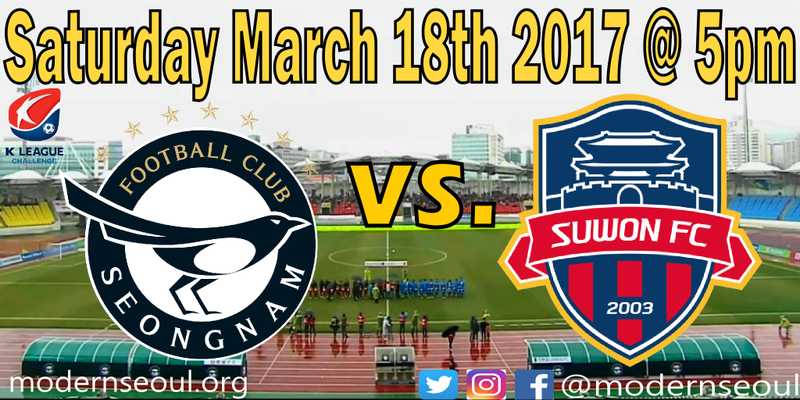 This Saturdays late game features the two sides relegated late season Seongnam and Suwon. 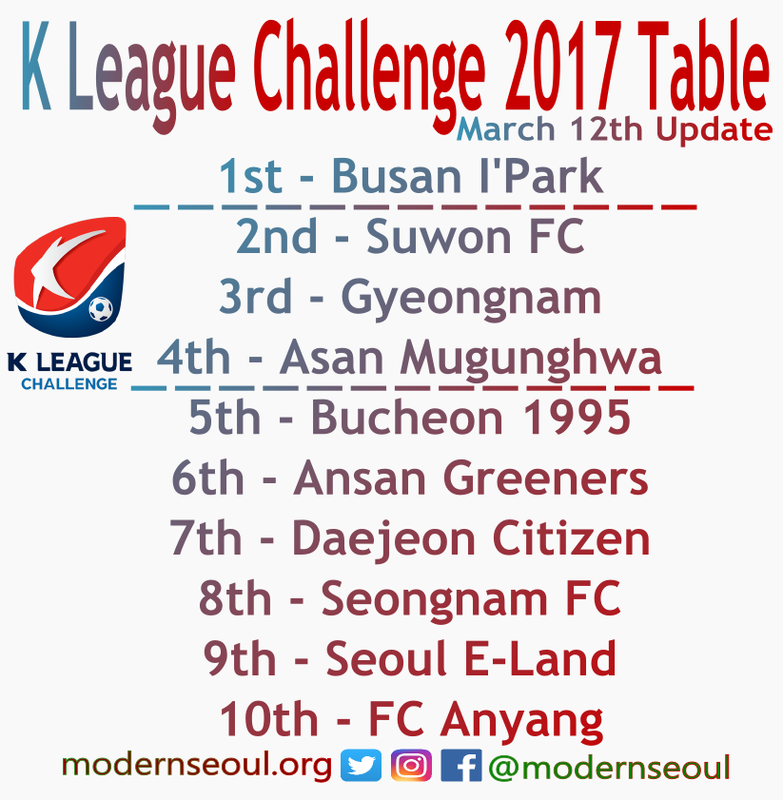 Seongnam have had a disappointing start to life in the Challenge losing week one and drawing last weekend. They have however looked solid at the back. Suwon FC have resettled into the Challenge nicely winning their opening two games and are looking like early favorites. Seongnam at home are generally solid, whilst Suwon have looked strong so far this season. Therefore we’re siding with a draw, as it could go either way. Poor defending ultimately lead to Daejeon winning the 3 points.